The miraculous icon of the Panagia Bethlehemitissa (Παναγίας της Βηθλεεμίτισσας), or Panagia of Bethlehem, is located in the Basilica of the Nativity of Christ in Bethlehem in a special place of veneration near the entrance to the Holy Cave in which Christ was born. 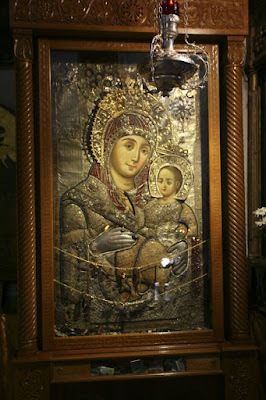 The icon is known for its sweet eyes and calm smile which brings joy and sweetness to the hearts of the faithful. It is of unknown origin, though it is said it has its origins in Russia and was probably brought to Bethlehem by Tsarina Catherine the Great. The Holy Virgin had performed a miracle for Catherine, so Catherine donated her imperial garments to adorn the "Mistress of the World". Also, according to tradition, she gave her imperial jewelry to adorn the icon, and since that time no Tsarina wore diamonds and such since it was reserved for the "Queen of Heaven" alone. 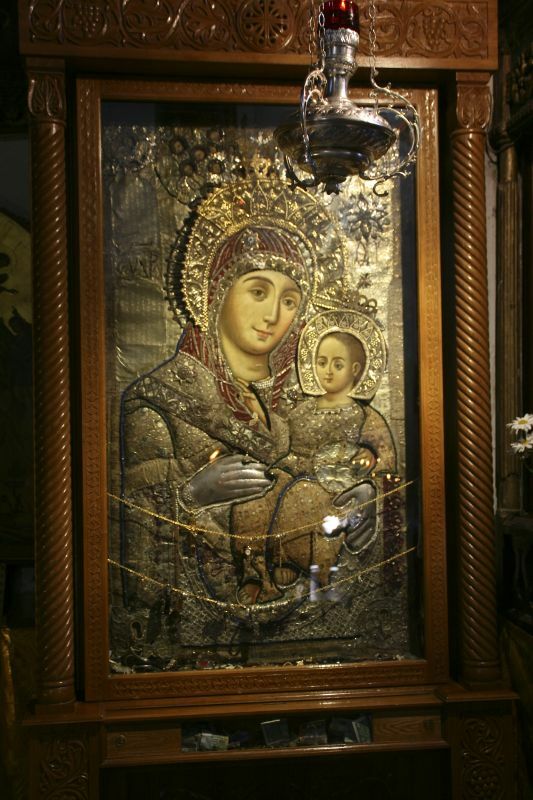 The holy icon of Panagia of Bethlehem celebrates the day after Christmas on December 26, which is the feast of the Synaxis of the Theotokos. 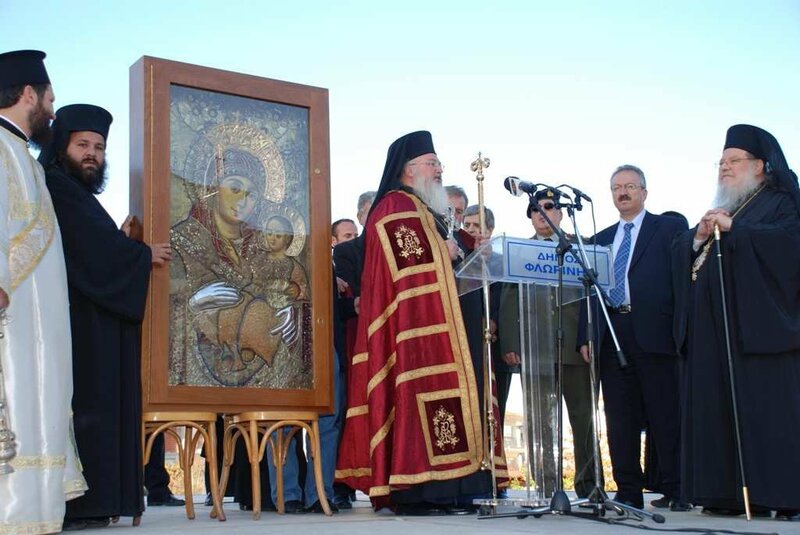 You bless all those who hasten with faith to venerate your sacred image, O Mother of God, gushing forth healings, Bethlehemitissa, as a strong-flowing river. And do not cease to protect those who radiantly glorify your all-revered Son, Who did not depart from the Father's bosom, and, in an unspeakable manner, received mortal flesh from your blood.